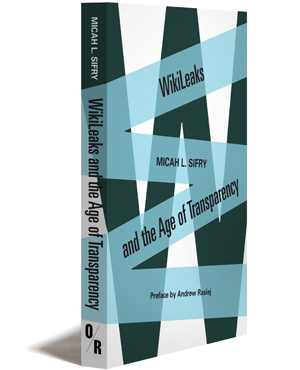 As the co-founder and curator of the Personal Democracy Forum (where Julian Assange has spoken twice), editor of its award-winning techPresident.com blog, and a senior technology adviser to the Sunlight Foundation, Micah L. Sifry is perfectly situated for this analysis, the first book-length discussion of WikiLeaks to appear in print. A former editor and writer at The Nation Magazine, he is the author of one book (Spoiling for a Fight, 2002), co-author of another (Is that a Politician in Your Pocket?, 2004) and co-editor of two anthologies: The Iraq War Reader (2003) and The Gulf War Reader (1991). He is also a member of the board of Consumers Union. His personal blog is at micah.sifry.com. Preface by Andrew Rasiej, co-founder of Personal Democracy Forum. Andrew Rasiej, a futurist, social entrepreneur, and technology advisor to many politicians, is the chair of the famed New York Tech Meetup. He was the 2004 chair of the Howard Dean Technology Advisory Committee.